Weddings are stressful, and there’s no denying that. Apart from coordinating with different suppliers, you would have to coordinate with your guests as well. That said, so much time and effort go into the wedding planning itself. Often, however, the biggest problem lies in the rising costs of the planning and going way over your budget. According to a report published in 2016, the average cost of an American wedding has reached $35,329. That’s quite a lot of money if you think about it; it’s even a year’s worth of salary. If you don’t have this amount (or have wealthy parents), then, of course, it’s going to be a problem. Just got engaged? Have a boyfriend or girlfriend who may be the one? Single at the moment? Whether you’re in a committed relationship or not, remember to save every dime that you’ve worked hard for. Sure, you’d need to get out and enjoy life, but always make sure to save money for a rainy day. Don’t waste your money on needless things; it isn’t futile to start saving up for that big dress or that honeymoon. Even if that dream wedding doesn’t materialize soon, you’d have money to spare when it finally does. 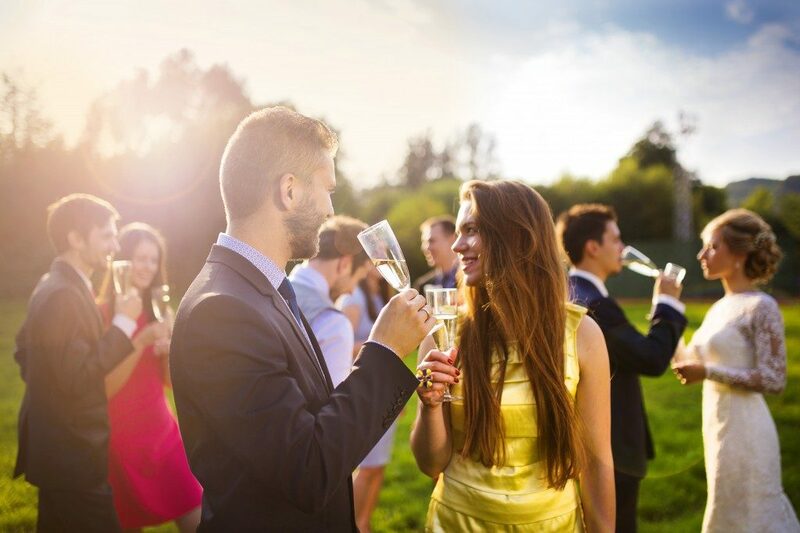 It may sound counter-intuitive to spend money on another person when you’re trying to save money, but hiring an event planner will make a lot of difference. As the saying goes, time is money, and you’ll save a lot of time that you can allot on something more productive by tapping an event planner. An event planner has access to a network of suppliers and will negotiate on your behalf for the best rates, discounts, and freebies. They can also handle everything for you, and all you’ll have to do is show up for your big day. If you’re ready to work with an event planner, Colorado has some reputable event management companies that can assign you one. You may not realize it, but you may already be surrounded by people who you can enlist to help you out with your wedding. Do you have friends who are writers? Tap them to help you write your speech or wedding invitations. Do you have friends who are artistic or crafty? Ask them to help you come up with a creative theme or design materials for your wedding event. Have family members or friends who are talented singers? Ask them to perform for you at your wedding. Don’t be afraid to ask for help. The possibilities are endless! There’s almost always a sense of panic when people think of weddings. However, preparation is key to quelling those types of feelings. Hope you learned a thing or two on how to minimize the stresses associated with your big day.